Last year, on November 19, Desert Hot Springs declared a “Fiscal Emergency.” The crisis was caused by several factors, but mainly it was due to national and state economic trends that included declining local revenue, rising costs and the loss of redevelopment funding. Many cities experienced waning revenue, but other valley cities have major retail outlets and industries to help close the gap. Desert Hot Springs is a bedroom community with minimal retail, no large industry and mainly small boutique spas and hotels. With a short fall of $6.2 million, the city dramatically slashed its budget. It implemented pension reform, limited employee benefits, cut staff by 66%, reduced salaries by 22% (or more) and eliminated non-essential spending. The city cut $1.7 million from public safety. In order to fund public safety — the largest expenditure in the city’s budget and its most important — the city tapped its reserves. Having used those reserves, Desert Hot Springs responded by writing Measure F, a parcel tax, for the Consolidated Primary Election last June. The measure would have generated funds by taxing vacant parcels that did not “contain habitable structures with required plumbing, electricity and other improvements with valid permits within the parcel’s boundaries.” The tax would not modify homeowner’s property tax or affect the coveted Prop 13. The singular purpose of Measure F was to fund “Public Safety Services.” Specifically: police protection, such as improving 911 emergency response times, maintaining a safe level of police officer’s staffing, implementing gang and drug prevention programs and engaging in more active community policing. With empty lots in most neighborhoods and open desert surrounding the entire community, vacant parcels provide an opportunity for “the occurrence and proliferation of public nuisance activities.” The city determined that undeveloped land had a direct relationship to the usage of public safety. The California Constitution does not prohibit tax on ownership of real property if the tax is a “special tax.” So, legally the city had the right to tax vacant land because the parcel tax is not an ad valorem (tax based on value), a transaction or a sales tax. The city includes nearly 24 square miles and only 20% of Desert Hot Springs is developed. In 2010, the city annexed land from I-10 to Dillon Road and from Indian Trail to Palm Drive. The parcel tax would have been implemented immediately after the vote and would have expired in six years on June 30, 2020. Suffice it to say, had Measure F passed, adequate revenue would have been generated for the sole purpose of public safety. Indeed, landowners benefit by the good things the city does. When the city is in good financial shape and it can afford to make improvements and build infrastructure, land value goes up. But for the city to prosper, it must maintain an effective police department. Without adequate public safety, the city’s quality of life and reputation are at risk. In addition to the revenue Measure F would have generated, it is also likely that the added taxation would have encouraged landowners to develop their empty lots and large parcels, which would have further helped the city move forward creating jobs, new businesses and improved property values. So why did Measure F fail? For the measure to pass, it required a two-thirds vote. The State of California requires a two-thirds approval since the imposed “special tax” is on real property. Only bona fide residents were allowed to vote. No out-of-town landowners could vote on the measure. The vote was written in a straightforward manner: a “No” vote was against the parcel tax and a “Yes” vote was in favor. With a population of nearly 28,000, but only 9,730 registered voters, the summer election had a 24.42% turn out. A total of 2,376 ballots were cast, but only 2,352 voted on Measure F.
The results were 1,446 in favor and 906 against. To get the two-thirds figure, the “Yes” votes were divided by the total number of votes cast on Measure F. “Yes” had 61.48% and “No” had 38.52%. Although it won the majority, it failed to achieve the two-thirds. The measure needed an additional 300 plus votes to pass. Valentich emphasized that Measure F would provide the funds necessary to protect Desert Hot Springs residents, businesses, tourists and families without raising existing taxes on residents. 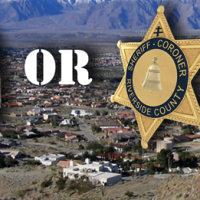 Valentich strongly urged the citizens and business owners of Desert Hot Springs to tell the City Council and the administration to only use Measure F money to keep the current police department and not to fund a contract with the Riverside County Sheriff’s Department. Of course the police want to keep their jobs. They have worked hard to build relationships with the citizens and many of the police live in the community. Losing the local police and contracting with the Sheriff is considered by many residents as a giant step backwards. DHS was incorporated in 1963 and had the Sheriffs until the police department was established in 1997. The city’s growth, prosperity and quality of life directly correlate with reliable public safety. 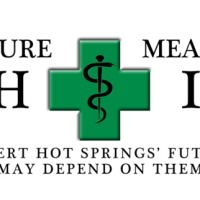 Desert Hot Springs Mayor Adam Sanchez wrote the argument and the rebuttal in favor of Measure F in the Sample Ballot and Information Pamphlet sent to voters before the election. In his simple listing of dozen or so facts, Sanchez said measure F was not a tax increase. It only affected owners of vacant land. Absentee landowners receive the same police and fire service while paying only a fraction of what residents must pay, and that was unfair. Sanchez added that the measure would stabilize the city fiscally and prevent bankruptcy. No other press releases, from the police or city, were issued in favor of Measure F. The City Council, as a whole, never asked citizens to vote “Yes” on the measure. Nor did the council commit Measure F funds, if it passed, to the existing police department. Though it was written specifically for public safety, Measure F didn’t specify who would provide the service. Days before the election, on the main street of DHS, a few hand-painted signs appeared in Spanish favoring the measure. 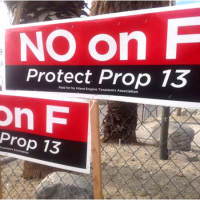 Hardly noticeable around town, “Yes on Measure F,” scrunched to fit on 8×11 paper and photocopied in black and white, were posted in the windows some small businesses and on palm trees or fences. A few cars had “Yes on Measure F” painted in shoe polish on the windows. Nothing in favor of the measure came in the mail. 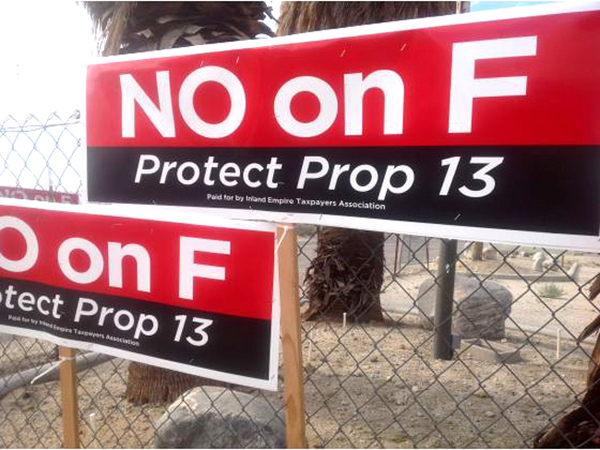 Conversely, signs against Measure F, flooded the thoroughfares with high-quality placards. Hundreds of navy blue and deep red posters simply stated “NO on F.” All along the main roads, stuck in the ground, up on light posts and power poles, in front of every major shopping center, strip malls and the big hotels, citizens were bombarded with the bold white letters on red, like a stop sign. If that wasn’t enough to reach voters, several times a week, glossy postcards, 8×11 colored flyers and folded brochures inundated residents’ mailboxes with the “NO on F” logo and more. In a community where the median age is 34, how did two old folks convince a city to vote against fiscal stability and public safety? And why wouldn’t the City Council commit to keeping its police force? The IETA is a for-profit business and there is no limit to how much can be contributed. “Individuals, businesses, corporations and PAC contributions are permissible.” Only foreign nationals cannot contribute, unless they have permanent residency in the US. Estimates put IETA group spending on “No on F” at over $150,000. When asked for a list of who contributed to the “No on F” campaign, and who initiated their involvement, and was Reed paid, IETA did not respond to calls or email. Besides using the elderly, other organizations that the Inland Empire Taxpayers Association included on mailers as “Those we trust say ‘No on F’” were: Howard Jarvis Taxpayers Association, Small Business Action Committee, The Palm Springs Regional Association of Realtors and The Desert Sun. IETA’s treasurer, Richard Teaman and his partners Ramirez and Smith, served as the city’s auditors for seven years. His group of CPAs performed Desert Hot Springs last audit before the financial crisis. Why did Teaman and his team not recognize and disclose the coming problem? Fighting against unfair taxation is an American right and has been since the country’s beginnings. Most Americans would agree they are overly taxed in one form or another. Over the years, the city has indeed had to raise taxes on property and utilities. The citizens of DHS certainly carry their fair share. The parcel tax was a way to garner potential revenue without once again putting the squeeze on homeowners or renters. Would Measure F have had a better chance if the City Council committed to keep the local police department? On that subject, the City Council is divided. There are members who would rather contract public safety out to the County Sheriffs, a move that may save money now, but cost more down the road. It may also jeopardize the city’s quality of life with a lesser presence. To say nothing of the potential loss of the more personal service that now exists. With the limitations and challenges the city regularly faces, Desert Hot Springs officials work hard to make ends meet. The city is land rich, but cash poor without major businesses, industry and their resulting tax revenue. The city must do something to keep solvent, avoid bankruptcy and maintain public safety. Quite a task to be sure. One could conclude that big donors, out-of-town landowners and a fractured city council over who should provide public safety, stopped the parcel tax. Measure F might have been the wisest solution for the economically challenged community. In order to have the necessary growth that generates revenue, the city must have the highest standards in public safety. But Measure F failed and five months later, new measures are on the ballot. The General Election this November will have three measures for the city to consider. Measure HH is a Medical Marijuana Cultivation Tax (Grow marijuana), Measure II is a Medical Marijuana Tax (Sell marijuana), and Measure JJ is a One Percent Sales, Transaction and Use Tax Increase. Desert Hot Springs City Attorney, Steven B. Quintanilla, wrote the Impartial Analysis of all three measures. Below is how the City intends to generate funds and who will pay the taxes if the new measures pass. Measure JJ will increase sales tax by 1%. It is currently at 8%, of which the state takes 6.5%, Riverside County Transportation gets .5% and DHS gets 1%. The city estimates the increase will raise $1.4 million. Revenue generated will go into the city’s general fund. The increase may not seem like much, but in a working community where the majority is economically challenged, it will certainly be noticed by local businesses and consumers. All three measures only require a majority vote, unlike the two-thirds for Measure F. If one or all of the measures pass, the revenue will be used to feed the coffers of the city’s general fund. However, HH, II and JJ have no parameters that specifically fund public safety and if they pass, there is no guarantee the city will retain local law enforcement. With citizens asked to vote on the cultivation and sale of marijuana within the city, it seems appropriate that a commitment by the City Council to provide quality public safety and keep the police department intact would be important. The police department’s budget is part of the city’s general fund and adequately funding public safety is the most significant factor in protecting the city’s future. Citizens are certainly accustomed to having their own police department and residents respect and trust the members of the local police. 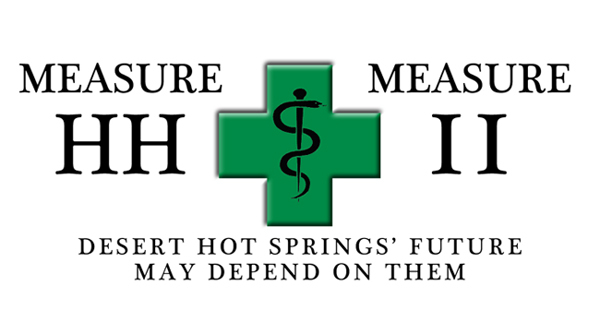 The big question is: If the good people of Desert Hot Springs vote for the tax increase or the marijuana measures, what guarantee do they have that the city will, in fact, keep the police department? And if none of the measures pass, what will happen next to public safety?